The Talisker disllery – it is beautiful I must say. 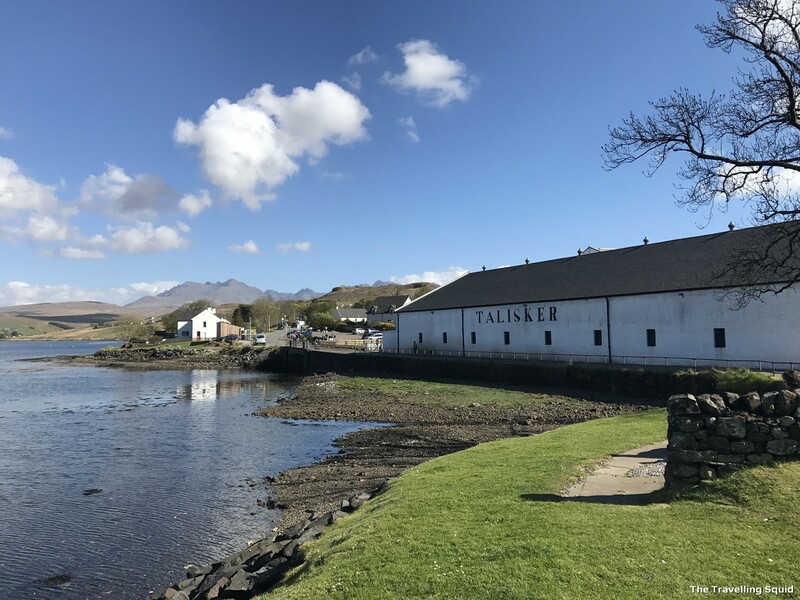 If you are thinking of visiting both Oban and Talisker distilleries, I’d recommend that you just choose one. Reason being, both distilleries are managed under the same British alcohol company Diageo and the guided tour is largely the same. I had been to both distilleries during a recent trip. 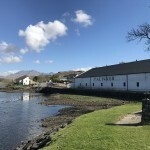 Unless you’re a big Talisker fan, the Oban distillery is more accessible, and I suppose, fun to visit. 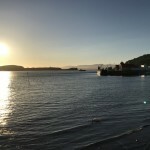 Here are four perks of visiting the Oban whisky distillery instead of Talisker. 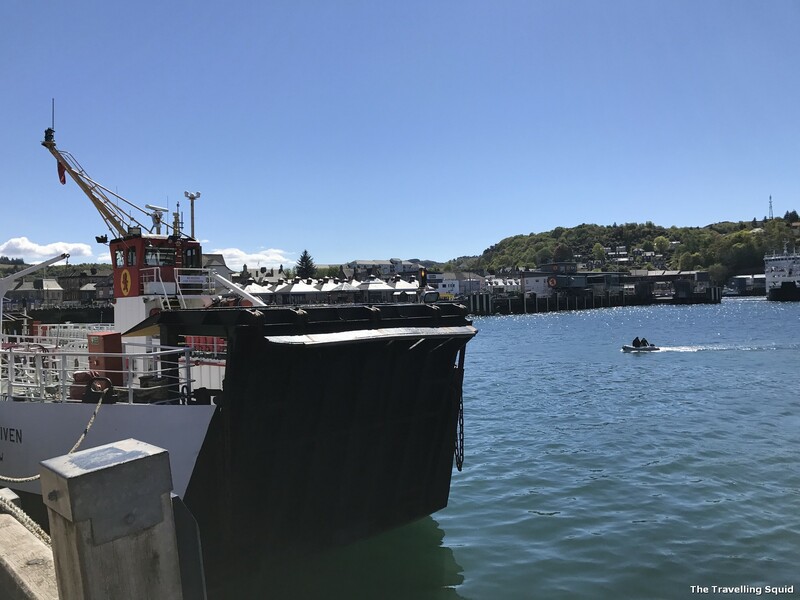 The perk about visiting Oban is its small size. The size of the group was not too big, and we had more opportunities to interact with our guide. I suppose the smaller group also made it possible to give out some treats, like the ones below. 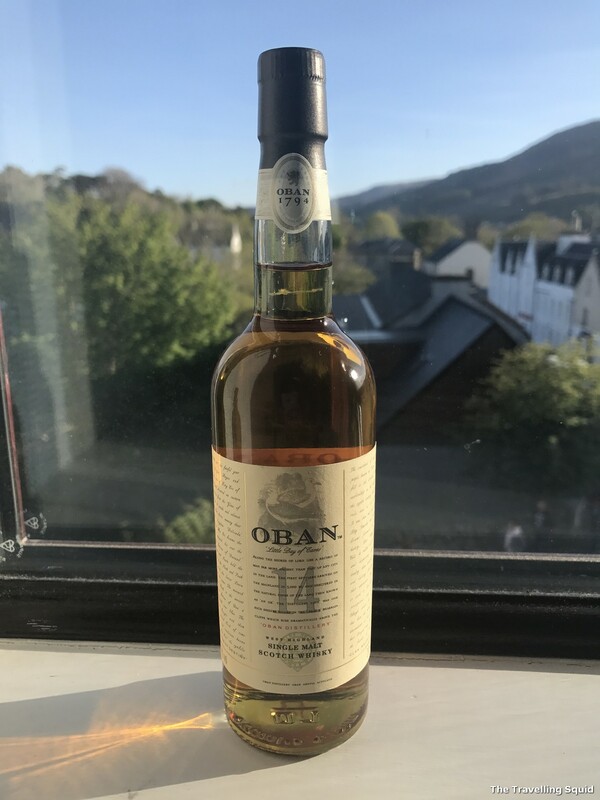 What I like about the Oban tour was that they opened a barrel of 8-year old whisky (it was not mature and would need about six more years before it could be bottled). It was just to taste how it was. The liquid was colourless, at 56% alcohol content. It was not foul-tasting – but I suppose, lacked the maturity of a 14-year-old single malt. The experience of watching our guide pipette the liquid from the barrel into a beaker then to our glasses was one-of-a kind. The staff were really sweet and gave out little whisky glasses after the visit, which we used to taste the 8-year-old whisky. We could then keep the glasses for our personal use. It was a great challenge packing them in the luggage back home – and they survived the journey back to Singapore. I sound like a spoilt brat here but all we received was a little collar pin from Talisker. It’s clear which I’m supporting. 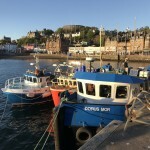 I’ll recommend Oban because the tour was interactive and interesting. 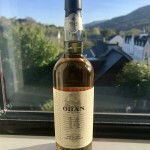 The highlight of the Oban guided tour was having a taste of the 8-year-old whisky. That said, if you’re a big Talisker fan, the scenery at the distillery is really beautiful too. 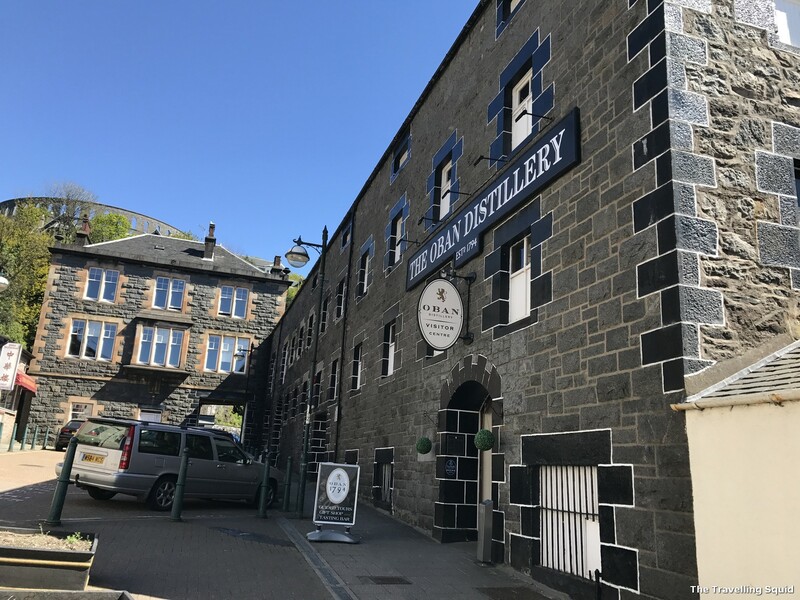 You can purchase Talisker whiskies from the Oban distillery and vice-versa, as both companies are managed under the same company. Choose wisely! Have a comment? Drop them in the box below. 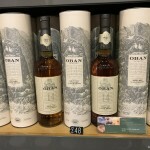 Is the Oban whisky distillery worth a visit?